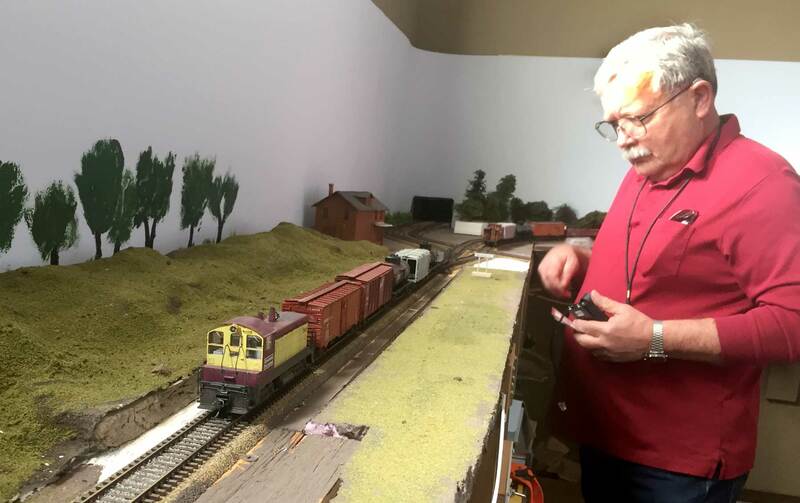 Mike Weiss watches as a crew switches Avalon on his HO scale Kingston Southern railroad. Operating model railroads with friends is one of my favorite aspects of the hobby. The holidays can be a tough time for crew to attend so there is a lag between sessions. 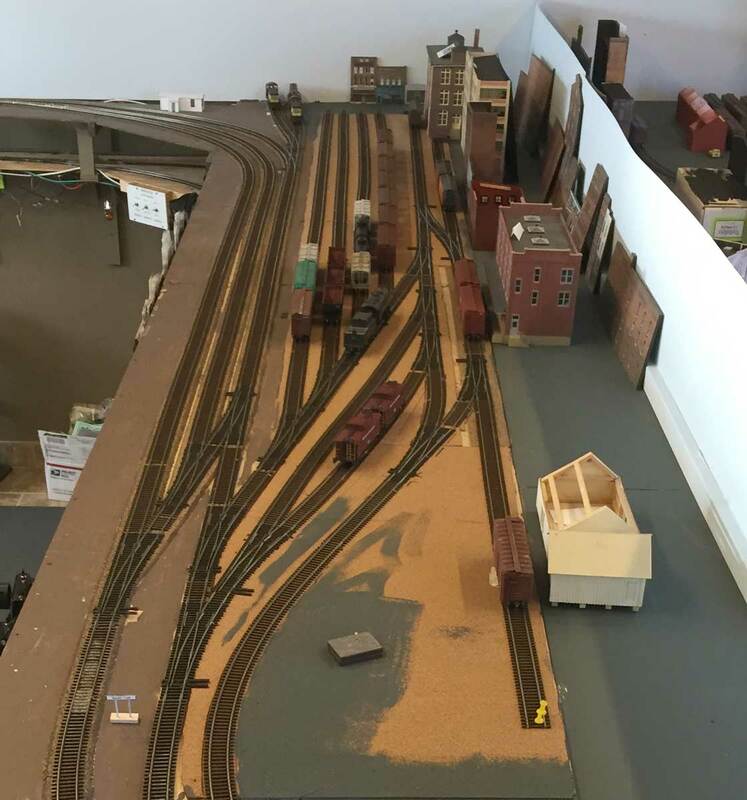 I did host a December session on my Wheeling Freight Terminal but I hadn’t been to Mike Weiss’ Kingston Southern layout for a couple of months. It was great to kick off the New Year operating his layout. We had most of the usual crew participating this week. Mike has four jobs that keep the railroad busy for a few hours. 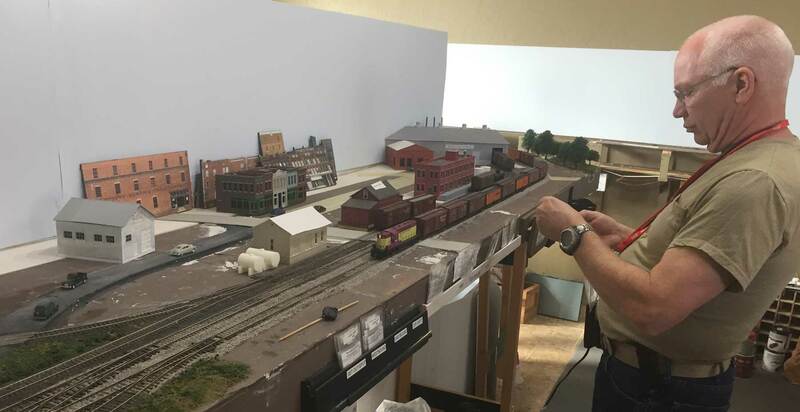 His layout is set in northern Ohio in the area between Cleveland and Sandusky. Robbie is operating the westbound local and he has his hands full at Birchmont. Two trains hit the mainline to start a session. One is westbound and the other is an eastbound. They switch two towns along the way and exchange freight cars at a yard. These road switch jobs are often challenging but fun. If more people attend, Mike often assigns two-man crews for these jobs. The South York yard looks quiet in this image but it’s mostly a beehive of activity through an operating session. A key job is the yardmaster as all other jobs interact with the yard at one point in the session. The yardmaster has freight cars sorted by eastbound and westbound destinations. When the eastbound local arrives at the yard, they have several freight cars destined for the yard or the associated industrial branch. Those cars are exchanged with the yardmaster for the eastbound string of cars that need to move along with the eastbound local train. A similar transaction occurs when the westbound local arrives at the yard. A variety of industries keep a crew busy on the York industrial branch. Working closely with the yardmaster is a crew that switches the industrial branch. This job is limited to transporting eight freight cars at a time so they usually make at least two round trips out of the yard for each session. This area is removed from most of the layout so it seems like a separate operation. Roger is working the transfer run to the New York Central interchange at Renrocani Junction. The industrial branch crew often has other duties as instructed by the yardmaster. They often switch out the handful of local industries adjacent to the yard at the start of a session. Additionally, they are pressed into service to make a transfer run to a local New York Central interchange. Typically, there are two transfer runs made to this junction for each session. If additional people attend the session, this job becomes a separate function. I admire Mike’s layout for the operational flexibility. A portion of the railroad can be run by just a couple of people or eight people can be accommodated for a full session. The aisles get crowded with eight people maneuvering around. But we tend to have fun no matter what. After a couple of hours running the railroad, we break for a lunch and discuss home projects or other matters at hand. 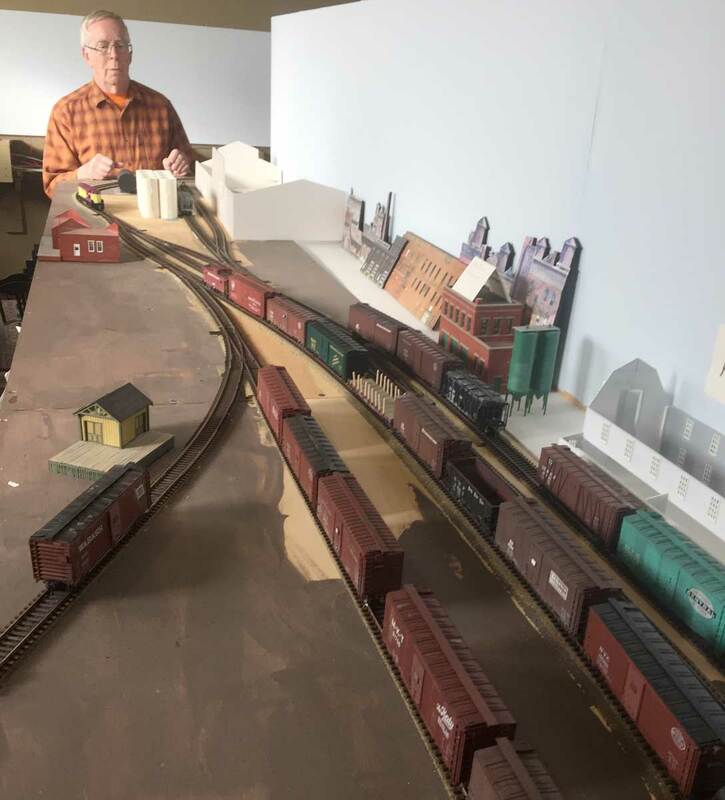 There are many other details involved in operating Mike’s railroad, but the description is the core of what happens when we get together each month. I’ll be hosting a session on the Wheeling Freight Terminal next week. Many of the same crew will attend but the railroad is different from Mike’s. There are always challenges but crew members keep returning for more. I enjoy watching others bring the railroad to life. Thanks for dropping by and reading the blog. Feel free to share a comment in the section below. Please follow the instructions so your comment can be posted. All comments are reviewed and approved before they appear. To subscribe to this blog, enter your info for a comment and check the last box to notify of new posts by email. Please feel free to share this post with friends!